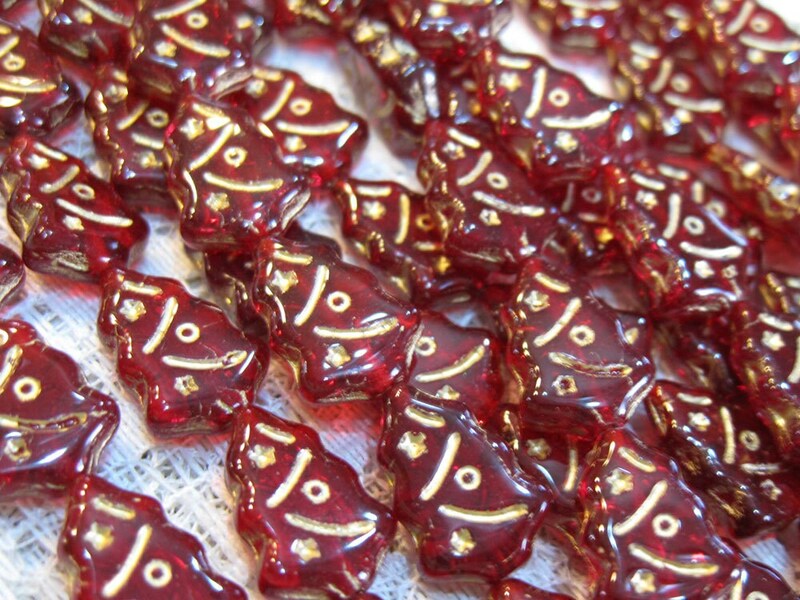 Ready for the holidays with these Czech pressed glass Christmas holiday tree shaped beads with gold inlay! These gorgeous ruby red beads are 12mm x 17mm with the design the same on both sides. You'll receive 10 beads. For jewelry making, scrapbooking, or adding to a tassle on that special holiday hand knit or crochet hat!